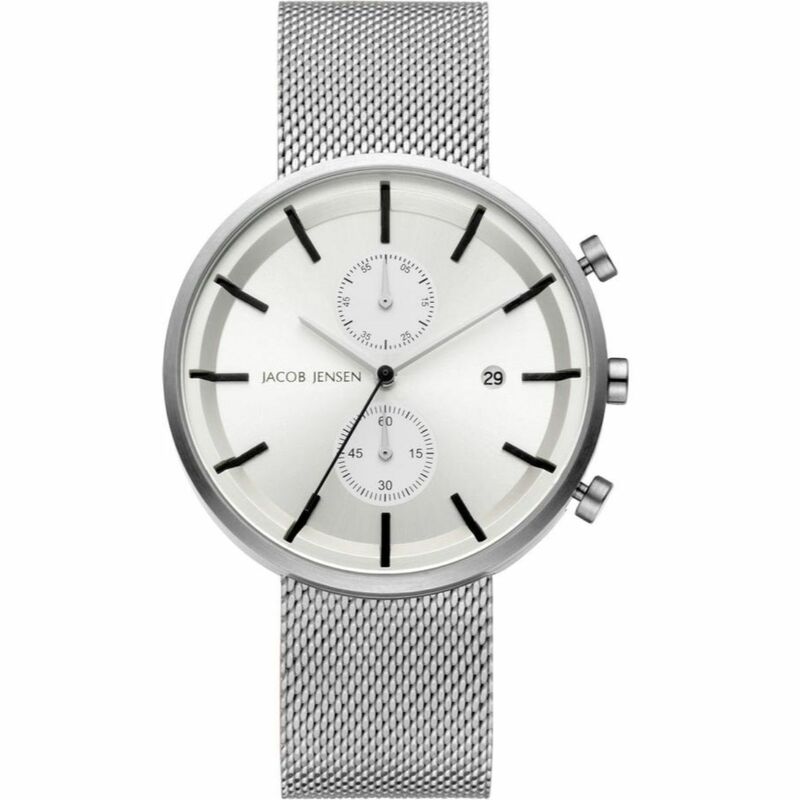 The Jacob Jensen 625 Stainless Steel Chronograph watch features a stainless steel case and a silver dial. 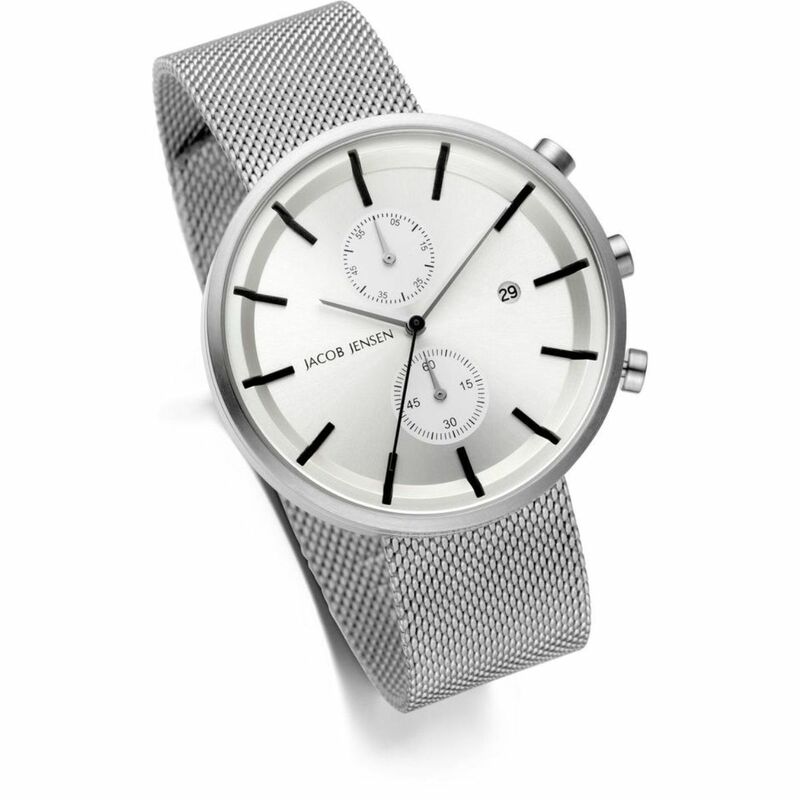 The watch also features scratch resistant sapphire crystal glass and a stainless steel silver mesh strap. Timepieces Direct are authorised Jacob Jensen stockists. These watches are supplied with a 2 year warranty and we offer free UK delivery.